A person injured in an accident, caused by another—in the perfect world—should expect to receive some form of compensation for those injuries and damages. Financial losses in an accident often come in the form of expenses for hospital, physician, and chiropractic care, physical therapy or pharmaceutical treatment to resolve the injuries suffered in the accident. Hopefully, with proper medical care the injuries (both physical and emotional) will heal. Sometimes the injuries are so severe that even the best medical care can't fully resolve the injuries or remove the physical and emotional scars. The medical expenses incurred should be paid by the person who caused the accident, otherwise the accident victim becomes responsible for those expenses. Following the accident, injured individuals may also be unable to work for a period of time, or not at all. During these times, the injured person, or the family, suffers significant economic losses from lost wages, lost contributions to retirement benefits, additional expenses, mounting unpaid bills, credit card charges, etc. Other accidents involve property damage such as vehicles, or other physical property. The damages discussed above are called economic damages. In other words, a person can use a calculator to add up these losses. For example, medical bills total $3,000, plus, loss of earnings of $1,000 and property damage of $1,500 for a total loss of $5,500 in economic damages. In the best circumstances, the negligent person’s insurance company should pay the full value of these economic losses. However, to the injury victim’s frustration, often times insurance companies do all they can to avoid paying these losses. With medical expenses they attempt to claim that the charges were excessive, unnecessary or unrelated to the injuries suffered in the accident. This tactic is even more prevalent now because of certain judicial rulings which have made it more difficult to get full value for the medical bills. Loss of earnings are disputed on the basis that a doctor did not order the person off work, even though the injured person knew there was no way he could have performed the job functions. Property damage is often less challenging, unless you choose to use your own repair shop and not one of the insurance company's "approved shops." Another aspect of damage is what is known as non-economic damages or "pain and suffering" damages. These losses are often the most important damages of all for the injury victim. Economic damages compensate a person for expenses paid to others or to make up for a specified financial loss. Without a recovery for non-economic damages, nothing is paid to the injured person for his or her actual loss of the benefits of life and living. I have handled cases where the economic loss was less than $20,000, but the non-economic loss was significant due to the loss of life or the inability to fully use a person’s body. 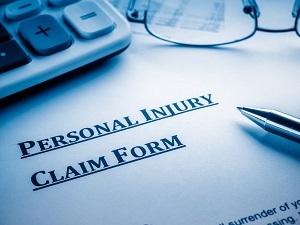 The law says, an injured person should be compensated for the following losses: Past and future physical pain, mental suffering, loss of enjoyment of life, disfigurement, physical impairment, inconvenience, grief, anxiety, humiliation, emotional distress, loss of sexual relations, and other similar items. A spouse can also have a right to damages for their losses from an injury to their spouse. The battle in each injury case, as it relates to damages, is trying to get the opposing insurance company to pay the proper value for those losses. There is no scientific formula for this calculation. But a good personal injury law firm, which has established itself as successful in negotiations and trial, can achieve the best results for the client. The Inland Empire Law Group is a proven and worthy advocate for injury victims they represent. Contact us today by calling (909) 481-0100.